Mr. Li: Hello. I have always been a big fan of photography and I am really obsessed with photography equipment. I have collected and used about 90% of the lenses produced since the 1980s. I am the founder of 7Artisans and I am in charge of product design. PR: We think your 7Artisans 28mm 1.4 FE+ is a very interesting and capable wide-angle lens with a highly desired focal length and maximum aperture combination. To be honest I was really positively surprised by it. So naturally I am curious about the process of designing this lens. 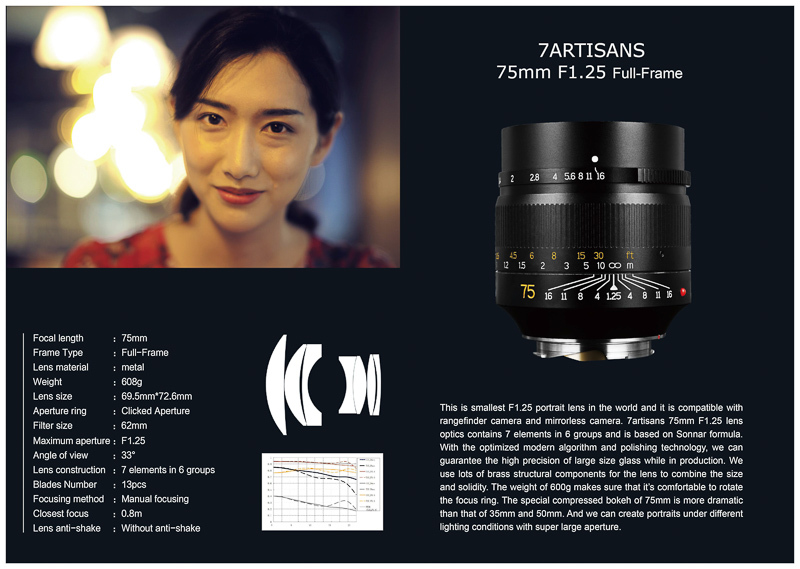 The previous 7artisans lenses have mostly been what is often described as “character” lenses and are usually based on the “Sonnar” design principle. This 28mm f/1.4 lens on the other hand has a very complex optical design with aspherical, ED and high refractive elements. How come you now decided to design a lens like this and what were your design goals? Mr. Li: The first thing that came to my mind was designing a lens with a 28mm focal length. On full frame it gives a very widely used angle of view, since almost 90% of the smartphones use 28mm equivalent lenses in camera modules. But if we made a 28mm with a slower f/2.8 or f/5.6 aperture, the pictures might not be end up being very different from those taken by smartphones. Therefore, our goal was to design a lens with good performance in low light and the possibility of shallower depth of field, so that it could stand out from those smartphones with the same angle of view. In designing a high quality 28mm lens we considered the following factor: 28mm is different from mid-telephoto lenses like 50mm or 75mm. These longer lenses are often used for portraiture, so only small parts of the frame will be in focus. Therefore they don’t need high performance in the corners at wider apertures, so the design can instead focus on the bokeh rendering. However, 28mm lenses are used for a wide range of applications, and for some of these applications bokeh is not the most important feature. Instead it needs to perform very evenly – so we have to make sure that it gives great performance across the whole frame. It has to be sharp enough to use at f/1.4 at the very least. To realize these design goals within the limited size of a rangefinder lens, we had to adopt a complex optical design. This has been a challenge for us. Even with the help of optical design software running on two workstations simultaneously, we still spent 6 months just on the optical design alone. This was also our first design using a double-sided aspherical element. I am very happy with the finished product. PR: When looking at other 28mm 1.4 lenses the Sigma 28mm 1.4 Art and the Zeiss Otus 28mm 1.4 come to mind. Both follow a recent trend in the industry to produce huge and heavy lenses with many elements to provide best possible image quality already at a very fast maximum aperture. What compromises did you have to make to keep the 28mm 1.4 as compact as we know it? Mr. Li: The angle of incidence of the light in the corners is so steep that it cannot meet the needs of the sensor design of both Leica and Sony at the same time. So we needed to make separate versions optimized for the specific requirements. Had we decided to design a much bigger lens, it would be possible to make it compatible with both sensors at the same time. PR: The casing of your 28mm 1.4 clearly took inspiration from the Leica-M-lenses, but I was surprised how good feel and build quality actually are (I really like the full-stop click-stops and the resistance of the focus ring). Not quite what we are used to see from younger lens makers. How did you achieve this? Mr. Li: This was the easiest and hardest thing when we designed this lens. It was easy, because it was only a matter of trial and error until we had a mechanical design that feels right. And it was hard, because we had to do lots of testing. We also have to adjust and assemble each and every lens that leaves the factory manually. PR: Not long ago you introduced an FE+ version of the 28mm 1.4, optimized for Sony E-mount cameras. As we know about the issues when using lenses optimized for film or thinner filter stacks on Sony cameras we are glad you did. Many of us wonder though: what adjustments to the design were necessary to improve the image quality on Sony cameras in the corners by such a high margin? And also, why did you decide to keep the M-mount bayonet instead of using a native E-mount bayonet with this version? Mr. Li: The main reason why we need to make separate adjustments for Leica and Sony cameras is that the sensor designs of them are different. The central area is not affected. But if we want an optimized image quality in the corners, we need to adjust the optical design. So we had to change the angle of incidence of the light in the corners by adjusting the spacing between the elements. The reason why we don’t use a native E-mount bayonet with this version is that for Nikon Z, Canon R or Fuji users this version also offers better performance than the M version, and now they can use this on their cameras with just an adapter. 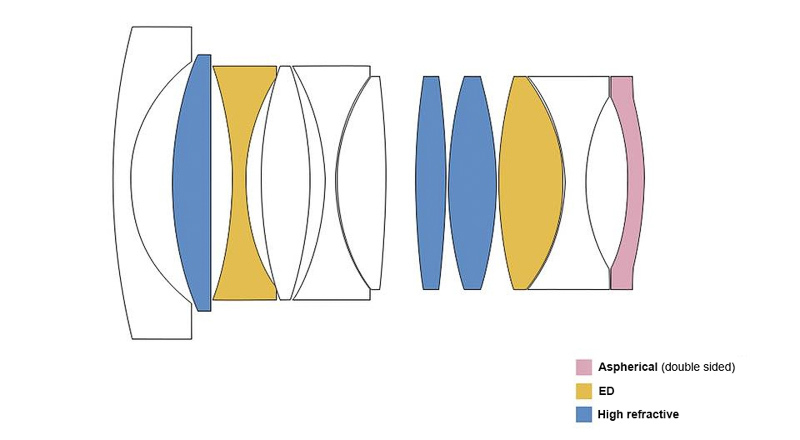 But we may consider making a native E-mount version of this lens in the future. PR: By now you have produced 13 lenses. Can you tell us one thing you have learned in the process of realizing these? Mr. Li: You need to make a lens that you love to use yourself. If you produce a lens that you don’t like, nobody will want to buy it. PR: And now that you have (successfully) designed and produced a complex lens like the 28mm 1.4, do you consider designing more lenses with the same signature in the future? 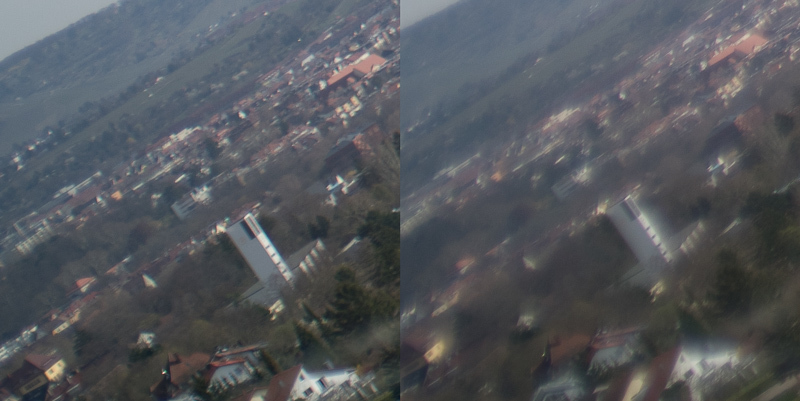 And if so, maybe a hint what focal length to expect next? Mr. Li: Yes. 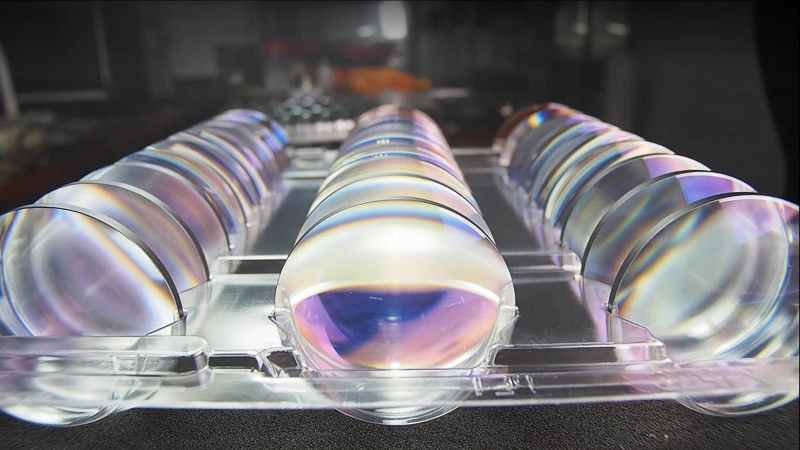 We will try using two double-sided aspherical elements and other more advanced optical materials to realize more compact lenses with high image quality. The next one will be a 75mm f/1.25 lens. PR: Nowadays there are several websites conducting more or less sophisticated measurements of lenses and then coming up with a rating of some sort but at the same time they often show only very limited sample images. I personally think those tests rarely reflect the actual quality of a lens and are often performed at too short distances. Still, many people use these ratings and tests to base their buying decisions on. Do you have a look at the tests of your lenses and are those tests something you already think about when designing a lens? Mr. Li: It depends on what you need. If you are a professional commercial photographer who has clients demanding very large print size you definitely need to focus on some specifications like the resolution. However, if you are just a shutterbug, focusing on these aspects might not be that useful for you. It may be better to explore other characteristics like bokeh or lens rendering in general by trying different lenses and see what works best for you. PR: Is there still a lens you would love to make, but so far you couldn’t? What would it be and what is keeping you from producing it? Mr. Li: We want to make autofocus lenses. But we will need access to the autofocus protocols of the various camera makers first to make this possible. PR: Your brand name is 7Artisans, may you explain to our readers the meaning behind this name? Mr. Li: A group of Chinese camera enthusiasts gathered together for a dinner in summer 2015. They were discussing their passions over the dinner table. Some were interested in optical design, while others were more skilled at running factory production lines, and one was an avid Leica lens collector. 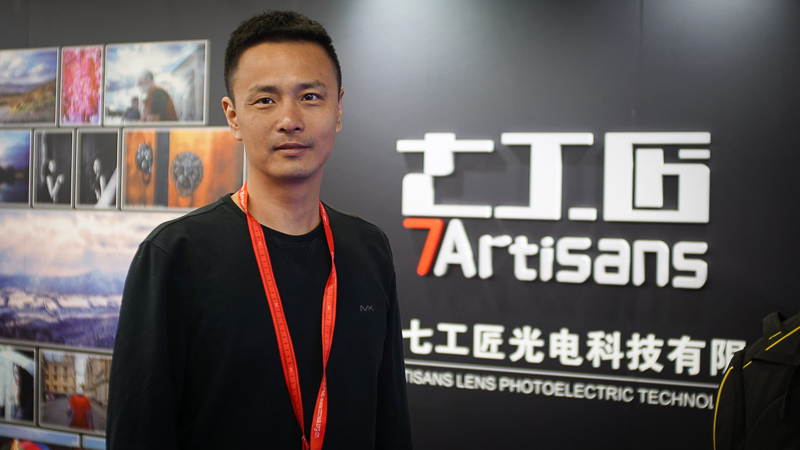 Everyone who participated came to the same conclusion; “If we combine our skills and work together, we can create new and original camera lenses.” That is how the 7Artisans Project began. In the early stages, many different people joined the project gradually forming the initial team. They expected it to be a long journey before they reached their dream. That story began with testing prototypes and identifying problems, improving the designs as well as streamlining assembly and identifying further issues. We used the opportunities to fix problems as a way of further improving our ideas. Trial and error cycles never stopped. We originally started with many members, but some of them left the project due to long product development cycles. 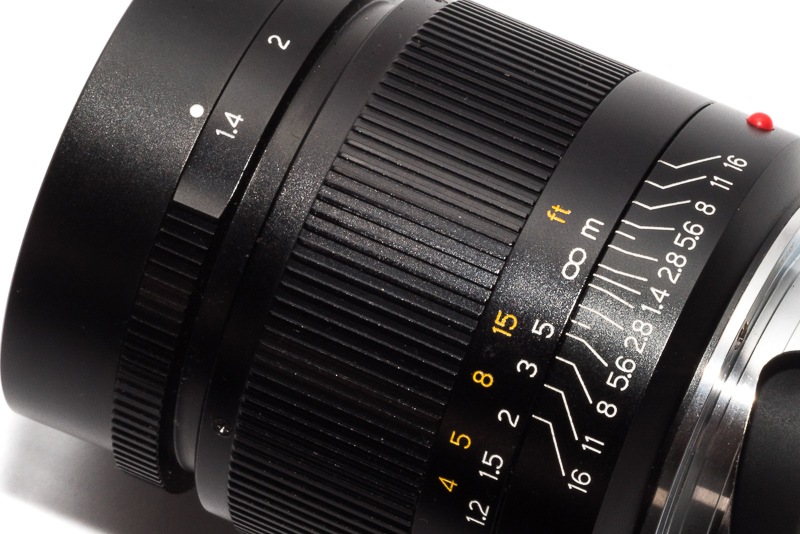 By the time the production of our 50mm f/1.1 lens was completed, only 7 members remained. And now each production packaging says, “7Artisans (Chinese: Seven Craftsmen)”. This is in honour of the members who believed in the project from the beginning and embodied the spirit of craftsmen. We are named 7Artisans in celebration of their confidence and determination. PR: Over the last few years we have seen many new lens manufacturers, especially from China (e.g. Laowa, Zhong Yi, SLRmagic, Viltrox, Yongnuo, NiSi). How does 7Artisans fit in there, what is unique about your brand? PR: And a final question: Do you use the lenses you have designed yourself? And if so, what is your favorite lens and what do you use it for? Mr. Li: I didn’t design our lenses by myself. Our lenses are designed and produced with the help of our partner DJ and our engineer Mr. Du. My favorite lens is our 28mm f/1.4 lens. I often use it for street photography. PR: Thank you very much for taking the time to answer our questions. Mr. Li: I am glad to have had the opportunity to talk to you. Nothing wrong with pride and enthusiasm in your work. This is what will differentiate from budget copycat lens manufacturers. For film get the M-mount version. Hi Bastian, thanks for answer! I’m actually thinking of dual use (sony + film), but I guess that will be a compromise anyway, i.e. on film FE+ will perform as bad on film as M on FE… Anyway, if you have a chance to test FE+ on film, that would be great! There is no way to mount the FE+ on a film body so it only goes one way. The reason the FE+ performs better on a Sony body is that it is corrected for the filter stack. The M version will perform the same on an M digital body as it would an M film body. 75mm 1.25f with closest 0.8m focusing distance sounds really interesting. Just to clarify… for the FE+ version of the 24/1.4, is the mount Sony FE mount, or it’s still an M mount lens although they did the adjustment for FE? i.e. I still need an adapter? Thanks for conducting this interview with him! 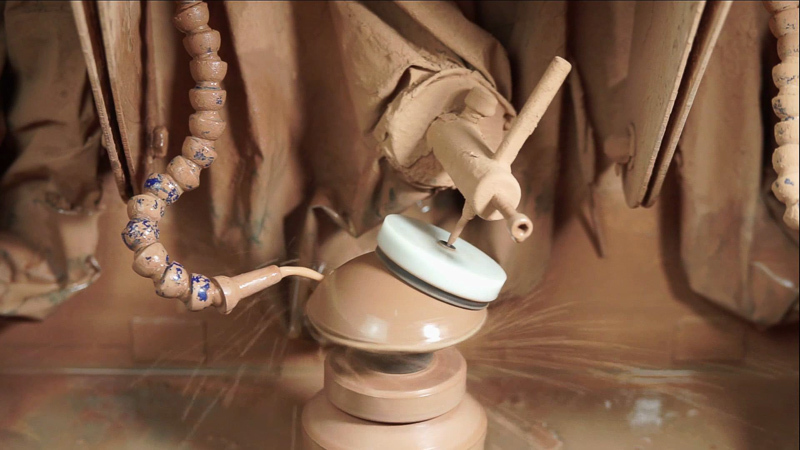 It’s nice to get some insight into the inner workings of 7artisans. 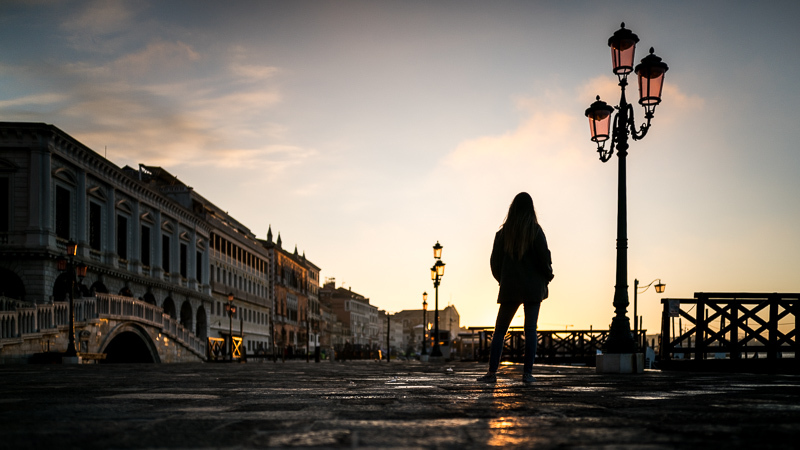 Just published my own review of the 28mm f1.4 as well, and it really is quite an accomplishment for them to have created a lens with such parameters and performance at this price. My conclusion was that… Zeiss or Voigtlander could probably get away with releasing the same lens under their brand, at double the price. I wonder if the difference between 24mm and 28mm is a lot in real life? 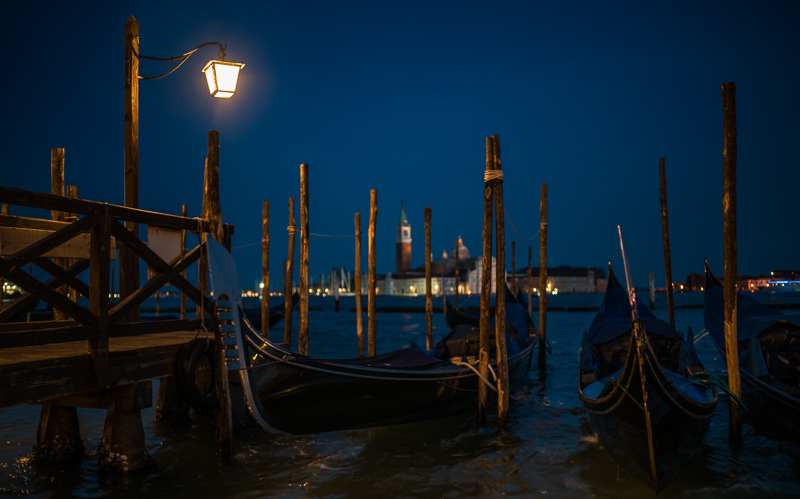 I have sigma ART 24mm 1,4f which is a nice lens and also has AF.. But the size and weight of this 28mm 1,4f looks very appealing. I wonder if the difference in lets say landscape photography is very noticeable? I know that 20mm vs 24mm issint that much of a difference. I think the difference between 28mm and 24mm is very noticeable and the difference between 24mm and 20mm even more so. thank you for your effort in this blog and for this Interview. I like the attitude and focus of Mr Li very much. For me as wedding photographer there is one important subject with manual lenses. I allways use a mix of AF-primes and manual primes. When using a kit of primes it is important to have communication between the lens and the camera because otherwise you have to adjust the focal length with every lens mounting new to have proper IBIS. At weddings you can’t do this without missing important moments. Therefore I use for weddings only one manual lens without EXIF-Communications. So even I like to use the 7Artisan lenses (especialy the 28, 50 and the coming 75) without proper communication I can only use one of them in my wedding kit. If you have in future maybe another talk with Mr. Li it would be helpful to mention this costumer need for electronic communications. I’m always skeptical of these Chinese branded lenses but after reading and watching tons of reviews. I decided to buy the 28mm for my240. This thing is AMAZING! I’m actually going to sell my Voigtlander 35mm 1.2II and keep my Voigtlander 35 f2 vintage along with this 7artisans 28mm 1.4 as my two main lenses. 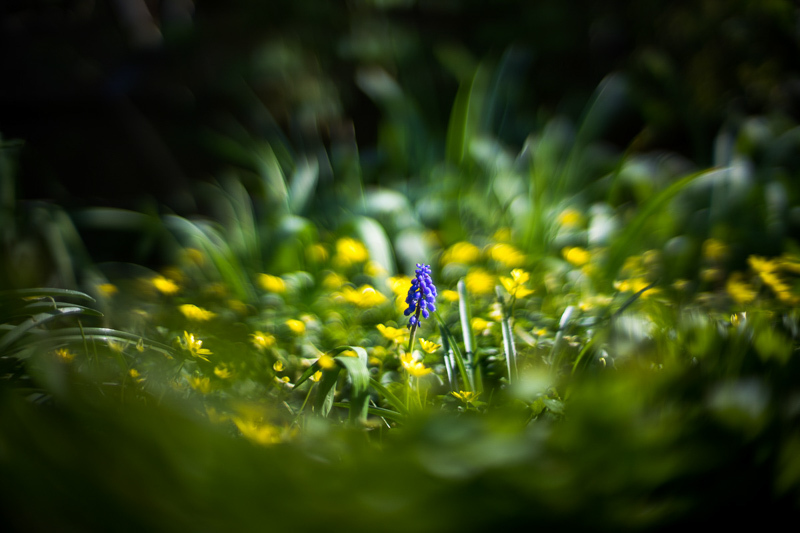 I’ve had the Voigtlander 28 f2, didn’t like the distortion, and heavy vignetting. I would buy the 7artisans 28 even if they charged 700 bucks. Love it!! !